Potatoes, whether served mashed, baked, boiled or broiled, are an extremely popular vegetable. They are harvested all around the world making the supply quite plentiful. Many people don’t realize the abundance of nutrients these nightshade roots provide. For instance, a potato is only 110 calories and is completely free of fat, sodium and cholesterol, as long as you don’t load it with butter, gravy, sour cream, cheese or bacon. Without these toppings, potatoes can be an ideal staple for many diet plans. 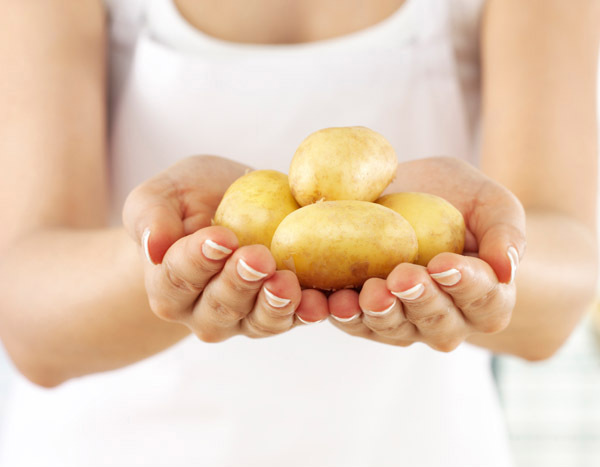 Potatoes are also loaded with essential vitamins and minerals; bursting with potassium and vitamin C. One medium-sized potato has more potassium than a banana and provides 18% of the recommended value per serving. And, they’re a powerful dietary means to lower blood pressure. Almost half of your daily value of vitamin C is housed within one potato and may support the body’s immune system, which is particularly helpful during cold and flu season.